Tucked away in a corner of tesco.com is the Tesco Phone Shop. And even further tucked away, in a corner of Tesco Phone Shop, is an attractive range of pay monthly mobile phones with a generous Clubcard points bonus for signing up. 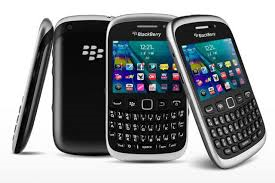 Let’s take the Blackberry Curve 9320 as an example. This is available on a 24 month contract for £22 per month. The contract includes 300 call minutes, unlimited texts and a 500MB monthly data allowance. It also includes 10,000 Clubcard points. If you use those for a Clubcard Boost deal at 2x or 3x face value, you could receive up to £300 of value on a contract costing just over £500. You need to shop around, of course. I doubt Tesco Phone Shop is the cheapest option. When you factor in the value of the points, though, it should be very competitive.